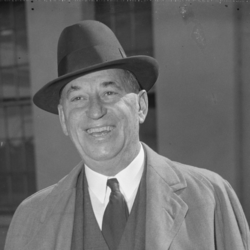 Chrysler’s first job was as an apprentice in a railroad machine shop; from this, he worked his way up to the presidency of the Buick Motor Company in 1916. After building Buick into the strongest unit of General Motors, Chrysler resigned to become director of the Willys-Overland Company and of Maxwell Motor Company, Inc., which he transformed into the Chrysler Corporation in 1925. For his new company, Chrysler personally designed a car with the first commercially available high-compression engine. Chrysler became the only major domestic competitor of Ford and GM.